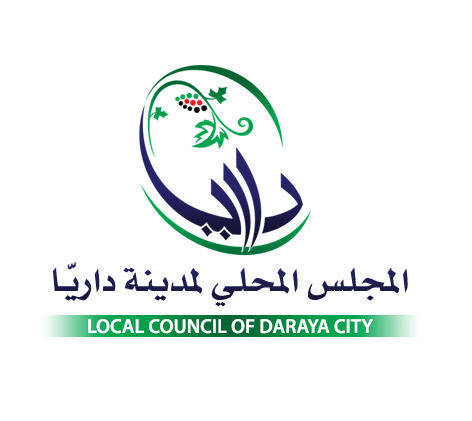 This profile of Daraya Council was published in the 17 May 2016 issue of the APPG Friends of Syria's newsletter, Syria Notes. 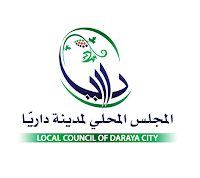 According to the Local Council of Daraya City, it was founded on 17 October 2012, a few weeks after a massacre by the Assad regime of 700 civilians, mostly women, children, and elderly people. The council serves a population of 8,300 people. The council has 120 members inside Daraya, as well as representatives working outside of Daraya. Every six months, individuals are elected to positions of responsibility by a secret ballot of all members of the council. An individual can only run for the same position for two consecutive rounds. The head of the council is elected by the people through public elections. Daraya is living through its fourth year of siege, the longest period that any Syrian area has survived under siege. The council must provide all essential services, such as water, electricity, and communications. The council’s aid office does its best to provide aid to the population. It runs a public kitchen that provides a daily cooked meal for people, but it is dependent on availability of resources. The aid office supervises cultivation of farming land, and divides crops between the people. All aid services are provided free to all. So far more than 1,000 tons of aid have been provided. As well as aid within Daraya, members of Daraya Council help organise aid in 40 different cities inside and outside Syria for refugees and displaced people from Daraya. The council’s medical office provides services to those injured in attacks on the city. The office runs the only field hospital in the city, which deals with all kinds of medical needs, from traumatic injuries, to child birth, to complicated medical operations. The field hospital operates with very few resources. 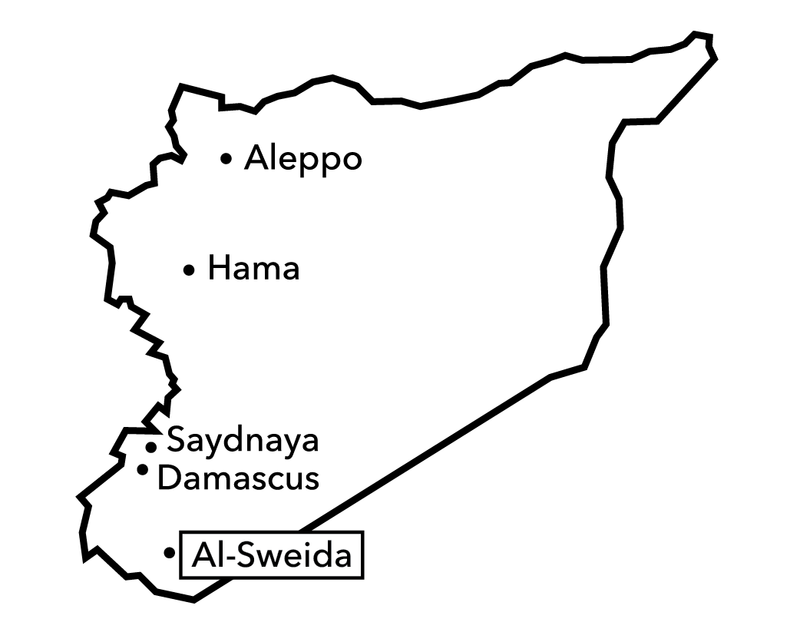 The council runs three primary schools in Daraya. There were plans to expand to cover secondary education, but these were suspended because of the recent increase in attacks by the regime. There are no other forms of education in the town, due the constant bombardment and the lack of staff. 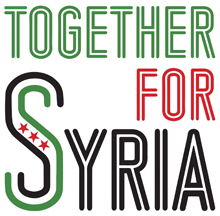 Other services include street cleaning, providing clean water, and fortifying shelters to protect civilians from bombardment. Daraya is defended by its own. The Syrian Army in Daraya is made up of local citizens, and there are no other military forces in the town, nor any form of extremists. The military office is under the civil authority of the council. 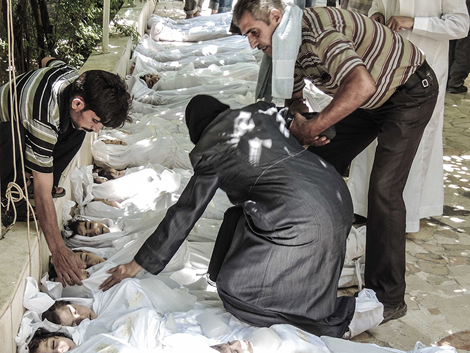 Every six months or so, an image breaks through the indifference, the weariness, over Syria. A year ago, it was seeing Alan Kurdi, a three year old boy washed up dead on a Mediterranean beach, lying in the same posture as a sleeping child in its cot. Half a year ago it was the staring eyes of a starving baby in the besieged town of Madaya. 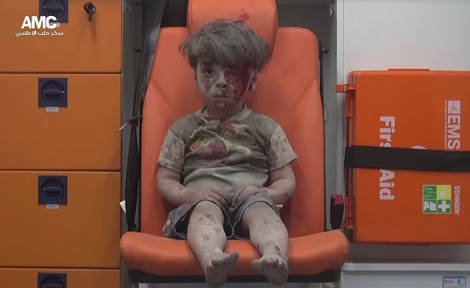 Now it is Omran Daqneesh, five years old, bloodied and dazed after rescue volunteers pulled him from the ruins of one of Putin’s and Assad’s endless air attacks on civilians in Aleppo. He sits, five years old, solitary and helpless. We watch, expecting soon to turn away once more. But we are not alone. We are not helpless. 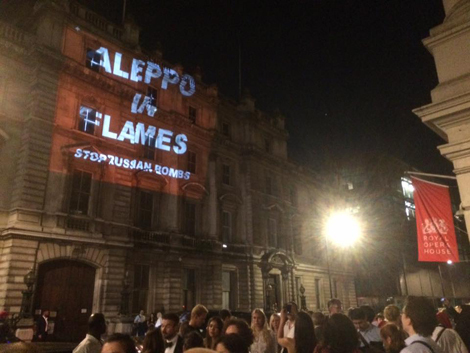 We can join to call on our politicians to act, to stop this bombing. 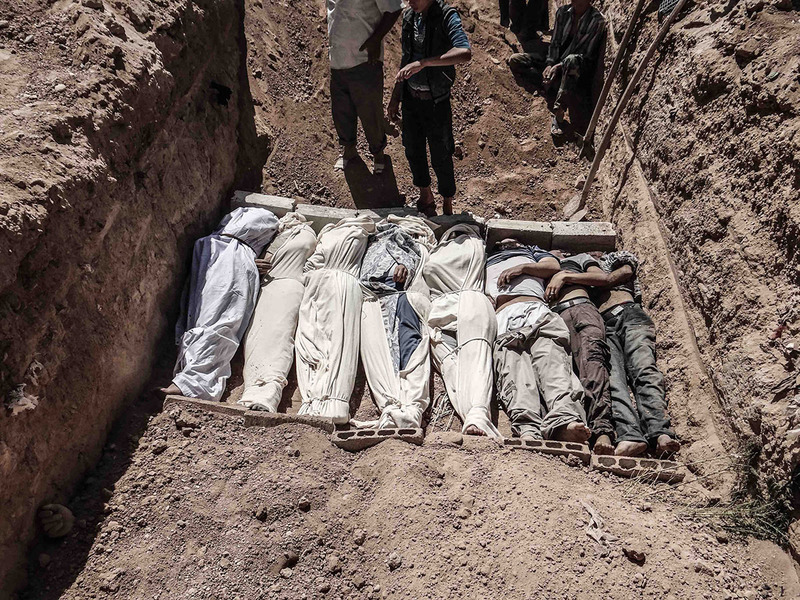 Overwhelmingly it is these attacks by the Russian and Syrian air force that are killing the majority of civilians, destroying hospitals, driving Syrians to flee. Act how? Putin leads the killing now, and nobody wants to go to war with Russia. But there are ways other than war to respond. 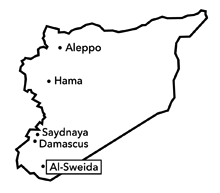 The RAF now flies in Syrian airspace, so it has access to data on military flights over Syria. 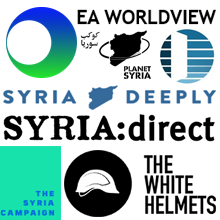 We can call on our government to use that data to identify the planes responsible for bombing hospitals; to publish details of whether they are Syrian or Russian planes, details of which bases they fly from. 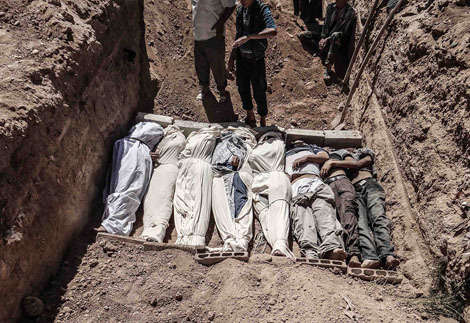 Publish so that we know who is to blame for each outrage, so that we know who exactly has command responsibility for these war crimes, and so that they know that they can be held accountable. The UK can identify whose air force was responsible for the attack on Omran Dagneesh and his family, so that there can be no room for denial. By the same means, the UK can give early warning to Syrian civilians when Russian and Syrian aircraft take off to attack civilian areas. Why is this not being done? We have the capacity, the radar systems, the communications technology to save lives. And the UK can join with others in responding: EU leaders have the power to shut Putin’s Russia out of SWIFT, the interbank payment system. With Putin supplying Assad with Sukhoi bombers, with the Russian air force dropping cluster bombs and firebombs on civilians, this should happen now. Other sanctions are also possible. Sukhoi, the Russian aircraft manufacturer supplying bombers to Assad, supplying the bombers that Putin’s air force uses to drop incendiaries, is still allowed to sell its wares in Europe. Russia’s trade delegation in the UK boasts of selling Sukhoi airliners to City Jet. It’s time to shut Sukhoi out of the European market. We can’t turn away for another six months. 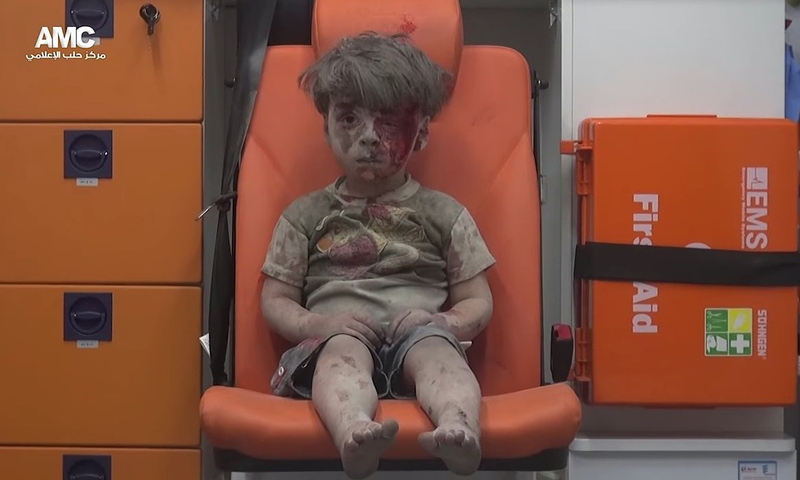 Look at Omran, join together, and act. 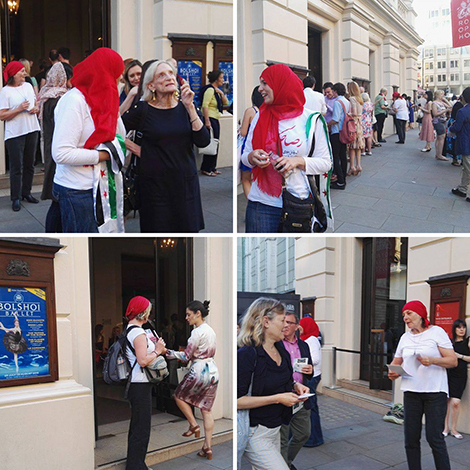 Syrians and Syria Solidarity activists will picket the Bolshoi Ballet’s last performance of The Flames of Paris at the Royal Opera House in London on Saturday night (tonight). 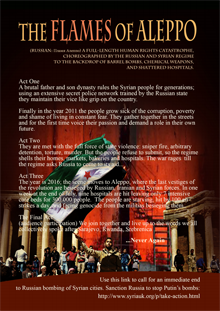 They will remind the audience of the conflagration of Aleppo: the revolution and siege there, and the role of Russia in the merciless aerial bombardment of Aleppo civilians. The Bolshoi Ballet is one of Russia’s most prestigious state institutions. People need to be reminded that under this most benign facade the Russian state is responsible for thousands of civilian deaths in Syria in its effort to bolster the fortunes of Assad, a tyrant bent on seeing his country destroyed rather than surrender power. See our Take Action page for ways to support the people of Aleppo. 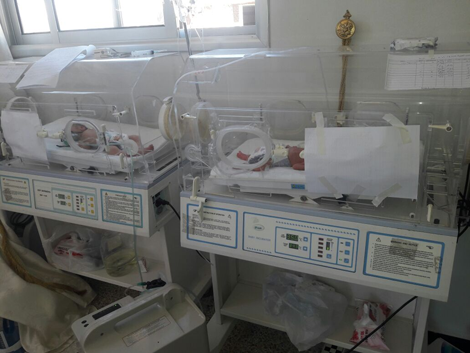 On 29 July, unidentified aircraft bombed a maternity hospital in Syria supported by Save the Children. As part of the Coalition against Daesh, the UK has data on military aircraft flights in Syria. Where data can identify aircraft used to bomb hospitals, the UK should publish their identity. UK residents and citizens please sign here. 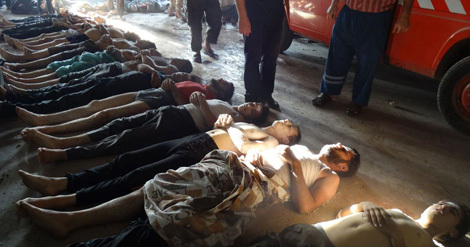 Physicians for Human Rights have documented 373 attacks on medical facilities in Syria. Deliberate attacks on hospitals are a war crime. Those responsible should not be allowed any measure of deniability. Photo via Save The Children UK.